Many people are looking for ways to bypass geo-blocks in order to get access to a greater selection of content. Thanks to technology like VPN and SmartDNS, it is possible to get around restrictions and enjoy streaming services that are not available in your country. SmartDNS solutions like Unlocator are ideal for this purpose because they offer great speeds. If you are mainly interested in getting around geographical restrictions in order to access content from around the world, Unlocator could be what you are looking for. This Denmark-based SmartDNS provider offers the necessary features to help you to enjoy a more varied and richer streaming experience. We’ll find out more about Unlocator in this review. While SmartDNS services are a convenient solution for unblocking content that is subject to geo-blocks, they don’t provide the security and privacy that you get from a VPN. Unlocator will help you to enjoy a fast streaming experience since there is no encryption in place that could affect the speed of your connection. However, this lack of encryption means that your online data is not protected against third parties that may try to intercept it. Although Unlocator also has a Smart VPN service, the level of protection that it offers is not strong. They only support PPTP and L2TP, which are protocols that don’t provide a high level of security. PPTP in particular is not recommended as it is very weak and it has been previously compromised. Given that Unlocator’s focus is on providing a SmartDNS service, it is not a surprise that the level of security available is not advanced. When it comes to privacy, Unlocator claims to offer a no logging policy, but in Denmark, data retention laws are in place, and in fact, the government has been pushing for a more extensive control over internet communications. In the end, if you are looking for a top level of protection for your online data, you should consider a VPN service instead of SmartDNS. Using a VPN that doesn’t keep logs and that is located in a country without strict data retention laws would be a better option to keep your privacy safe. Unlocator is primarily a SmartDNS provider that aims to help customers to bypass restrictions that prevent them from accessing the content they want. As part of the service, they offer Smart VPN that can defeat issues like SmartDNS hijacking to allow SmartDNS for mobile connections. Unlocator is not as feature-rich as other options available in the market, but it includes the necessary functionality to unblock entertainment services. The advanced region changer works with a variety of services and gives you the possibility of bypassing restrictions without hassle. The SmartDNS solution works with an extensive list of platforms including Windows, macOS, Linux, Android and iOS. It can also be used on gaming consoles and routers, and it supports an unlimited amount of devices at the same time. The SmartDNS service can be set up from the Smart VPN tab in your Unlocator account. There are set up guides available for all the platforms supported, as well as all the details that you need to complete the process. Since there is no software available, you will need to manually set up the service following the relevant steps for your operating system. The SmartDNS solution gives you the chance of unblocking over 200 channels and the fact that there is no software to install, means that it offers remarkable compatibility. You can use it on pretty much any device. They have servers in multiple locations to ensure access to global content and as expected, the speeds of the service are quite good. The downside is that when it comes to unlocking US Netflix, Unlocator is not as effective as some VPN providers. Unlocator offers a free trial that allows you to test the service for up to 14 days, without having to provide your card details. After the trial, you can opt for a monthly subscription, which costs $4.95, or extend it to 6 months ($27.50), or one year for $49.95. By extending the length of the subscription, you can save money since the monthly cost is reduced to $4.58 when you pay for 6 months in advance, or to $4.16 when you subscribe for one year. They offer a 14-day money back guarantee and there are multiple methods of payment accepted including cards, IDEAL and Bitcoin. The website offers a fair deal of information and it features detailed setup guides for all the platforms supported. There is also a brief, but helpful FAQ and the Support section covers information about different aspects of the service. While it is possible to create a ticket to get personalized assistance, the lack of a live chat is disappointing. Still, you can expect efficient and professional responses within a few hours. 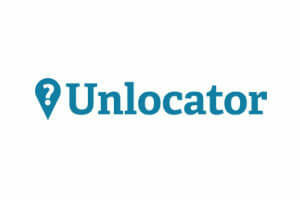 Unlocator is a good solution if you are looking to bypass geo-blocks and unlock websites that are not available in your location. Unfortunately, it doesn’t work too well when it comes to defeating the restrictions implemented by Netflix, which is the main purpose for many customers of the service. Security is also not a strong point for Unlocator and the Smart VPN solution is not easy to set up. Still, Unlocator has a wide network of global servers that can enhance your streaming experience and allow you to unlock content that is usually restricted in your location.